Thanks to all the readers who sent in photos. 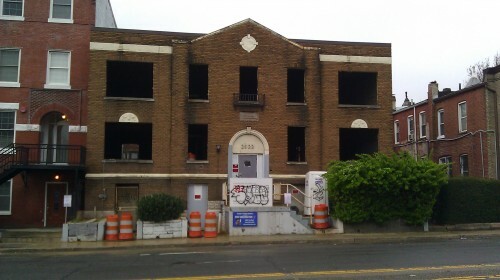 Anyone know if 2922 Sherman Ave, NW is gonna be rentals or condos? And nearby it looks like there is major work going on at the old Coco Libre space at the corner of Sherman and Harvard St, NW. We noticed some movement back in Dec. ’10 but has anyone heard if a new tenant is moving in?